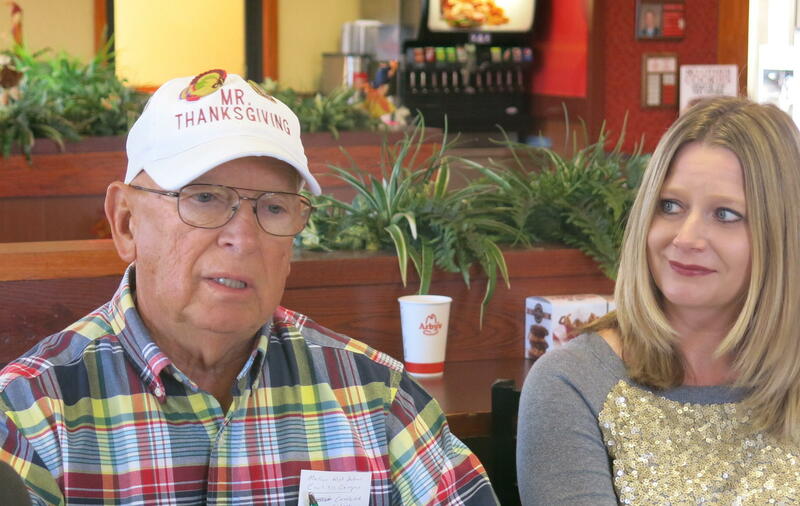 MetroLink's Jennifer Garrity listens as Bob Vogelbaugh talks about his annual dinner. Jennifer Garrity from MetroLink says free transportation has become a tradition. "They volunteer their time to drive on the Thanksgiving holiday, and we have a supervisor who volunteers his time, too. We've been doing this about 25 years, quite a awhile. We've never had any problem getting volunteers." Reserve a free ride by calling MetroLINK at 309.788.3360. Garrity says riders with reservations will need to call back on Wednesday to get their pickup times. "We'll have everyone at the mall by 3:45 and dinner is at 4. Then we get everyone home after dinnertime." 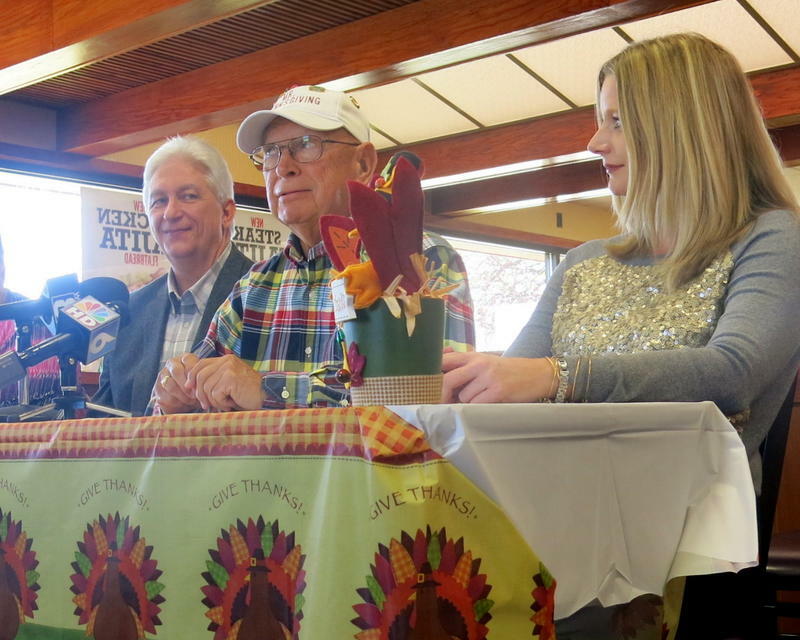 It'll be Mr. Thanksgiving's 46th annual dinner at South Park Mall in Moline. 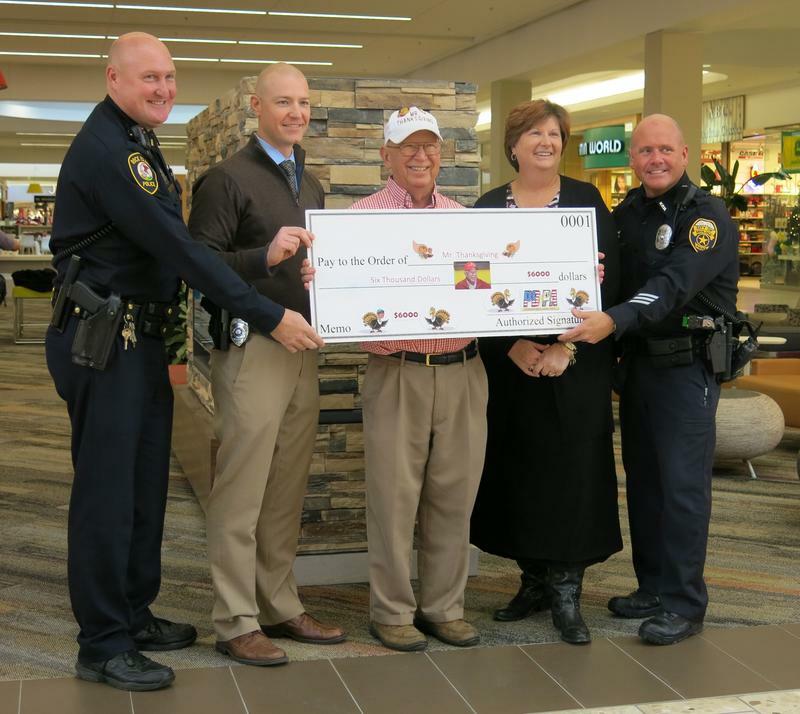 Pies may be dropped off at the mall office on Wednesday, or near Von Maur on Thursday. Donations to help pay for the meal may be mailed to 3704 26th Street, Moline, Illinois 61265.